Hard Rock International will build its first resort in Costa Rica in the province of Guanacaste, the company announced on its website. The all-inclusive Hard Rock Hotel Papagayo is set to open by early 2018. The 294-room resort will be located 30 minutes from Liberia’s Daniel Oduber International Airport. The resort will provide travelers with easy access to the Gulf of Papagayo, one of the most popular tourist destinations in Costa Rica’s northern Pacific area. Global head of hotel development Marco Roca said Costa Rica has seen a steady rise in international arrivals. “The country’s worldwide appeal aligns with our development strategy, deeply rooted in expanding into desirable locations,” he said. The Costa Rica resort will boast brand exclusive offerings such as a full-service rock spa and the music amenity program, offering free in-room Fender guitar checkouts. It will cater to multigenerational leisure travelers and will offer family-friendly offerings, such as the brand’s signature hangouts exclusively for younger guests. “We look forward to electrifying the destination with a musically-charged differentiated product never before seen in the area,” Roca said. Hard Rock International will develop the project through a partnership with tour operator Sunwing Travel Group, eyeing future growth within Latin America, the company reported. Hard Rock International owns the world’s greatest collection of music memorabilia, which is displayed at its locations around the globe. Locations include venues in 74 countries, including 175 cafes, 24 hotels and 11 casinos. 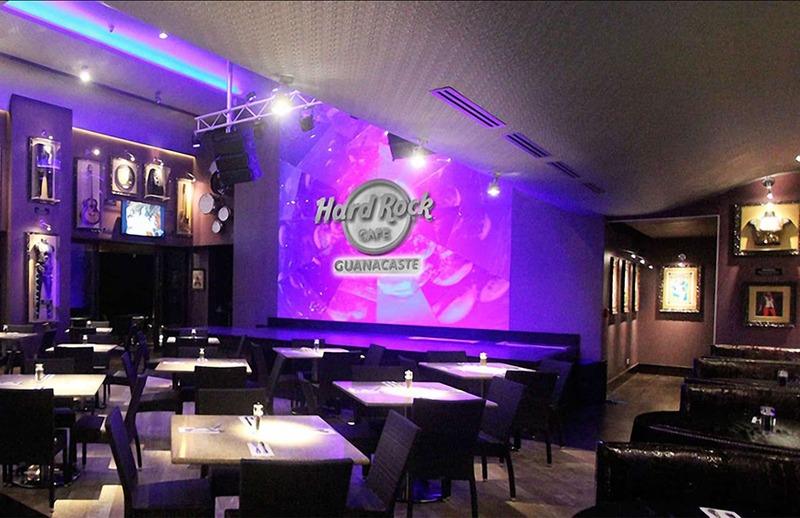 There are two Hard Rock Cafes in Costa Rica. The first one opened in 2013 in the province of Heredia and the second opened in Playas del Coco, Guanacaste, in 2015.